Stone Age Kings is a new free strategy MMO game that can be played in a web browser. 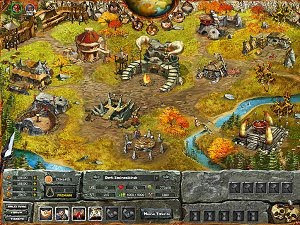 In this game the player is the chief of a small prehistoric village and has to develop it into a powerful kingdom. Choose your path wisely, using warfare tactics – including sending spies to enemy settlements – or more peaceful ways to prosper. Become the ultimate Stone Age King.